Ian & Nikki talk comics & pop culture as well as interviewing top comic creators. The official podcast for the Lakes International Comic Art Festival. Here at the Comic Art Festival Podcast we interview big name comic creators and review comics and graphic novels twice a month. 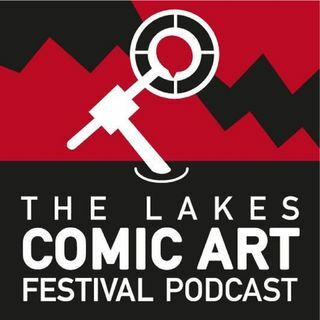 The official podcast of the Lakes International Comic Art Festival. Nikki and Ian review & discuss a Studio Ghibli movie every episode as well as looking at the films history. Nikki, Ian and a guest discuss their nerd rages and then give you, the listener, the opportunity to choose who's issue was the most valid in this comedy podcast. Lets Release the Kraken!